23 August 2013, 08:08 a.m. The majority of cloud computing revenue in 2012 was generated from vendors with sales over $75M (66%) and who are privately held (77%), with Platform-as-a-Service (PaaS) projected to attain a 41% compound annual growth rate (CAGR) through 2016. 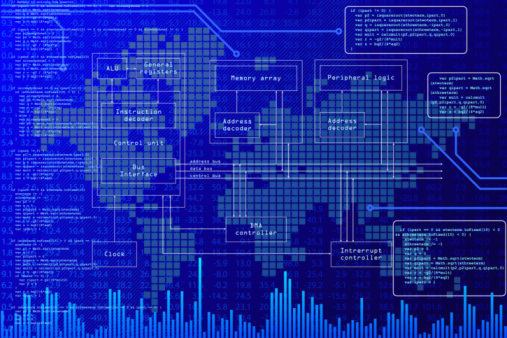 Market Monitor, a service of 451 Research, is also predicting 36% CAGR in cloud computing, growing from $5.7B in 2012 to $20B by the end of 2016 in their Cloud-as-a-Service overview report. Other research firms including Gartner have much higher forecasts for cloud computing in general and IaaS, PaaS and SaaS specifically. The cloud computing market will grow from $5.7B in 2012 to $20B in 2016, attaining a 36% CAGR over the forecast period. The following graphic from the report shows the breakout of revenue on a yearly basis throughout the forecast period. 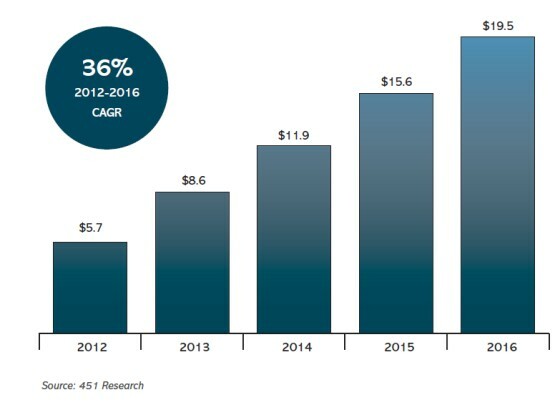 Platform-as-a-Service (PaaS) will attain a 41% CAGR through 2016, generating 24% of total cloud revenues. 71% of PaaS revenues will be generated by vendors over $75M in sales according to the study. 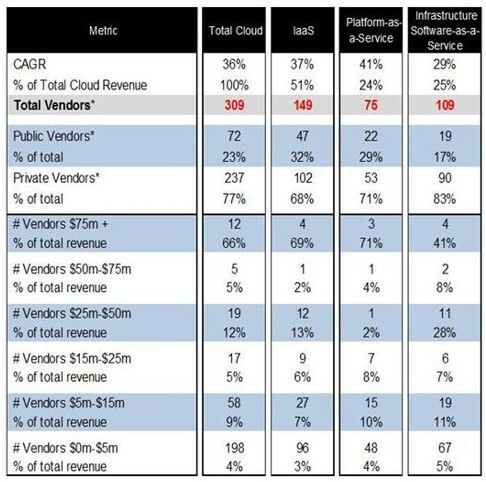 Infrastructure-as-a-Service (IaaS) will attain a 37% CAGR through 2016, generating 51% of cloud revenue. 69% of IaaS revenues will be generated by vendors over $75M in sales according to the study. SaaS will attain a 29% CAGR through 2016 and the distribution of revenue by vendor size shows how fragmented this area of the market is. The following is a summary table from the report showing distribution of sales by vendor and category. 30 Aug 2013, 9:47 p.m.
1) Price pressure on IaaS & PaaS will force prices to commodity levels, a trend happening already. 2) As SaaS moves upmarket and moved from small businesses to enterprises, prices will go up. I can't think of many SaaS vendors posting only 29% growth.